Based on reviews from 70 experts and 5,234 users. 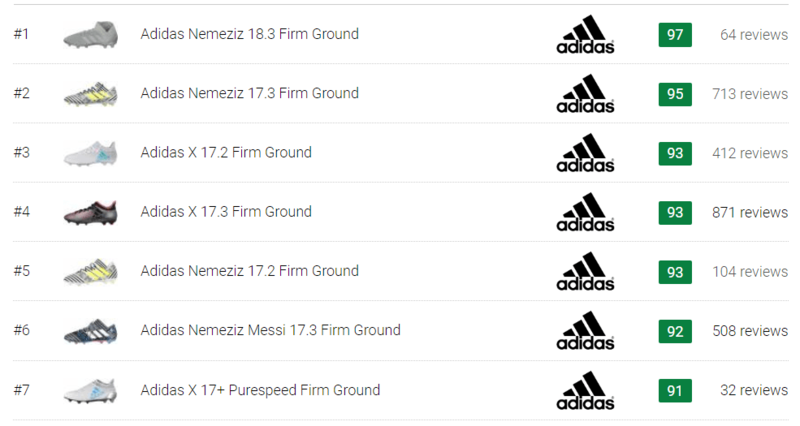 Learn how our rankings work or see our guide to grey football boots. Updated Apr 2019. By now, football audiences must have already noticed the saturation of colors on the playing field. Gone are the days when the only football boot color that dominated the pitch was black. Over time, players learned to express their personality by way of the colors in their cleats. Shoe companies, on the other hand, also caught up on the hype, producing newer and bolder boots that certainly give wearers scene-stealing moments during the game. Grey football boots may not belong to the more audacious colors on the pitch. However, they are certainly ones that will not easily go out of style. On its own, grey is one very solid and stable color that suits players who want style but do not necessarily want to deviate very far from what’s conventional. It is a color that is more subdued, quiet, and reserved, much fitting for the underdogs who take their time and wait for the perfect moment to take command of the game. Grey also looks very stylish when combined with other hues. It works well in accentuating softer tones while complementing the brighter ones. 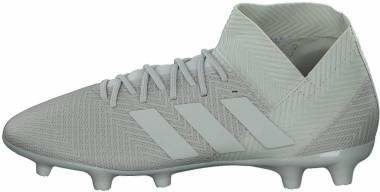 Athletes who want a classic twist to their soccer cleats might appreciate a touch of grey on their colored football boots. 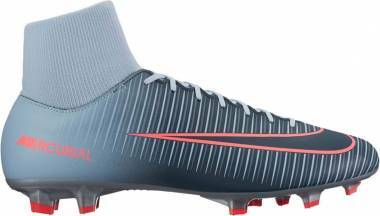 Grey football boots are quite the amalgam of old-school and modern design. They’re a deviation from the traditional black football boots. However, they haven’t veered that far enough to stay away from its classic appeal. A little research would reveal that grey is “rarely a perfect blend of black and white.” It is a bit of every other color, including blue, yellow, green, pink and purple. Hence, it’s no surprise that grey works impeccably in complementing other colors when combined with a particular design. Experts would even say that grey holds a stabilizing effect on other hues. It downplays the louder shades while it illuminates softer ones. Nike has demonstrated just how cool grey can be when combined with brighter orange and white details in one of their Hypervenom Phantom III. The German brand, Adidas also had their take on grey colorways in their Predator 18.3 FG (Firm Ground) in metallic grey and maroon. There is no telling how many grey colorways have already paced through the pitch. 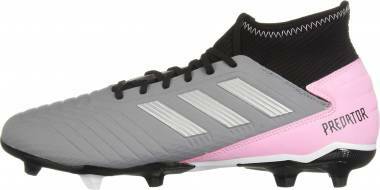 But one thing is sure, grey football boots have that classy appeal even when combined with other colors. The popularity of colored cleats has paved the way for all sorts of colorways to take center stage on the playing field. Football shoe manufacturers have definitely risen up to the challenge, releasing increasingly unique and appealing kicks for the field. 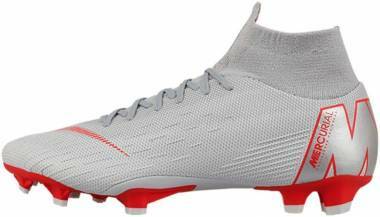 Grey football boots bring a distinct character and persona on the pitch, one that is refined and reserved, fitting for any player who is dead serious in delivering his A-game. The brand’s “Grey Camo” collection includes the Ace 17.1 Primeknit and the X 16.1. Both of these boots showcase camouflaged uppers that are for control and chaos. They also feature a laced up design, with matching white laces, for a more secure and stable run. 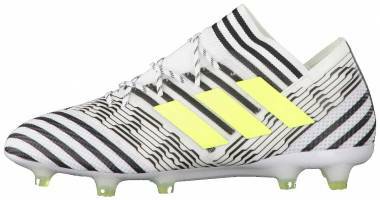 This stylish cleat highlights a sleek design that stays true to the style of the Adidas Ace line. It utilizes a heightened collar similar to that of its laceless counterpart. 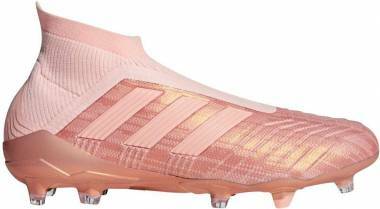 However, it does not feature the boost technology that is used in the Purecontrol version of this boot. 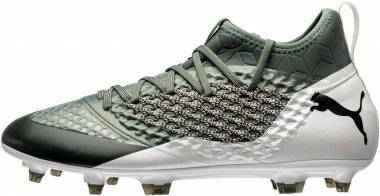 In terms of fit, the Camo Primeknit upper offers a rather snug wrap around the foot that aids in a clean ball touch. This version from the X series eliminates the lace cover found in other versions of the boot. The result is a more aerodynamic design that facilitates speed and agility on the pitch. This football cleat boasts of a subtle yet edgy design that holds just the right mix of patterns and soft shades of grey and white. Apart from a clean look, the Adidas X 16.1 performs impressively on the pitch as well, delivering reliable grip for quick and easy turns during the game. This Hypervenom model combines dark grey with a combination of total orange and white. It is engineered for the lethal strikers with its textured upper. This cleat’s strike zone utilizes PORON foam pods that harden with every impact on the ball. The result is a firmer and more responsive shot. 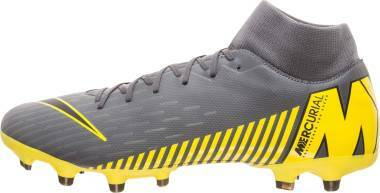 This grey football boot also features a Hyper Reactive outsole that aids in breaking and accelerating. This soccer cleat comes out in a smart wolf grey and blue combination. It is best suited for playing on firm ground surfaces and dry surfaces where it aids players in moving with ease and comfort. Wearers will benefit from the shoe’s padded ankle collar and cushioned insole that further improves comfort. The fresh new release from the Chrome line features a shiny silver coat that is sure to solicit some attention. This limited-edition boot boasts of a lightweight design, clean touch, and a comfortable fit. It also offers much flexibility and durability that can endure extended wears. 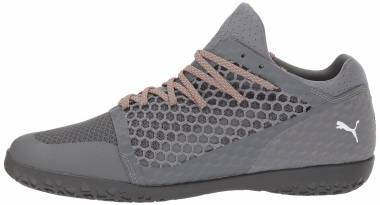 Engineered with a grey evoKnit sock, this model offers a tight fit around the ankle for a firm lockdown on foot. 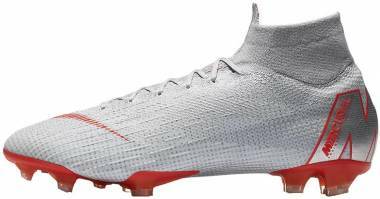 Since grey is a neutral color that fits men and women, alike, cleat manufacturers have also considered the color when designing their women’s football line. After checking out the boots the stood out from the men’s category, here are the ones that are worth talking about from the women’s category. Released in a vapor grey metallic and maroon colorway, this boot version highlights a coated mesh upper with control embossing details for that distinct Predator touch. 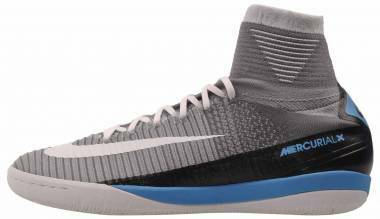 It also features a knitted ankle and tongue that works to enhance the fit as well as improve lockdown. Meanwhile, the Total Control stud alignment helps deliver reliable traction for the firm ground pitch. 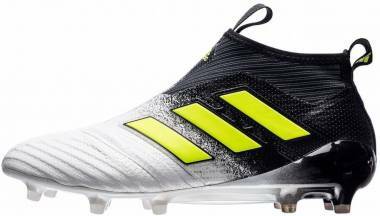 This football boot features a dark grey synthetic upper with embossed ridges for a clean ball touch. The dynamic fit collar works to add support around the ankle for a more stable run. A full-length TPU outsole, on the other hand, supplies traction and durability. Remove any loose mud or dirt after every game by knocking your grey football boots together and wipe the shoe clean with a damp cloth. Let your football boots dry naturally. Drying leather cleats, in particular, over heaters cause the material to become hard and uncomfortable on your next wear. To keep your grey football boots in shape, try filling your damp cleats with scrunched-up newspaper. When washing your shoes, use a stiff brush with bristles made from natural material. Do not use a wire brush because this can damage your boots. When removing your grey football boots, loosen the laces first to allow for easy removal of the boots. Do avoid kicking them off at the heel. To remedy smelly cleats, develop the habit of air-drying them after every use. You can also use some shoe deodorizers such as baking soda or coffee grounds to help neutralize the odor. However, these are only a temporary solution. In changing or cleaning studs, you can add some lubricant to the stud thread to prevent the development of rust. Are there grey football boots made for indoor and turf pitches? Yes, we have plenty of options. From Adidas, one popular choice is the Ace 15.2 Indoor in Grey with a combination of Onix and Solar Orange. 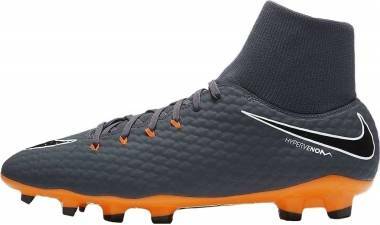 Nike also has the Hypervenom X Finale Indoor football boots that feature an Ultra-thin Wolf Grey upper. Another great option is the Puma Invicto Fresh Indoor soccer shoes in Grey with black and some white. Is there already a popular player who was seen wearing Grey football boots? There have been a number of known players who were seen sporting grey football boots. Among those was Cristiano Ronaldo in his Nike Mercurial Vapor XI CR7 FG football boots.